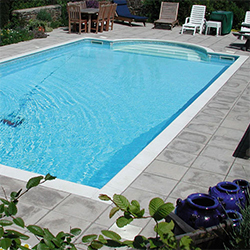 At Golden Coast we stock and supply a range of pool kits to suit most applications covering traditional block and liner construction through to self build above-ground wooden pool kits. 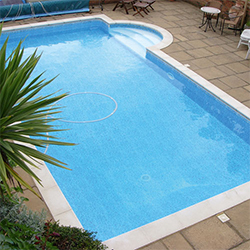 All pool kits are available for delivery from stock and can be tailored with a range of additional products from our catalogue to meet the individual needs of your customer Block and Liner Kits Swimmer block and liner kits are constructed with a tried, trusted and conventional method of building a swimming pool, using 100mm concrete blocks laid flat. Any blocks and associated materials needed to complete the installation will need to be sourced locally but the pool kits are supplied complete with all necessary equipment required to complete a swimming pool installation. Swimmer Block and Liner Kits The standard Swimmer block and liner kit includes everything needed to produce a high quality swimming pool. Mercury Kits The Mercury kit includes the additional elements of a coping set, access ladder and purification system to further enhance your pool installation. Platinum Kits Our Platinum kit offers a premium alternative, featuring; fibreglass walk in step unit for easy access, Certikin underwater light, Swimmer solar cover, Swimmer Winter Debris Cover and telescopic roller. Swimmer Polymer Kit The standard Swimmer polymer kit includes everything required for a high quality swimming pool installation. Mercury Polymer Kit The Mercury kit includes the additional elements of a coping set, access ladder and purification system to further enhance your pool installation. Platinum Polymer Kit Our Platinum kit offers a premium alternative, featuring: fibreglass walk in step unit for easy access, Certikin underwater light, Swimmer solar cover, Swimmer Winter Debris Cover and telescopic roller. All Swimmer polymer pool kits come complete with high quality Certikin pool fittings and Swimmer vacuum and chemical equipment. A Multi Cyclone pre filter has been incorporated not only to help improve water clarity and efficiency of the pool plant, but also to save thousands of gallons of water normally lost through traditional backwashing methods. Wooden Pool Kits All our Swimmer wooden pool kits are suitable for professional or self build installation and can be assembled either above ground or partly in ground within a matter days. 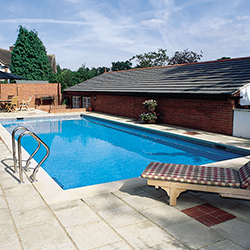 All pools are produced using high quality Russian redwood and supplied complete with a 10 year structural warranty. Our trade customers benefit from market leading customer service, in-house knowledge, marketing support and a range of other benefits. To find out how you can sign up for a trade account speak to a member of the team today.